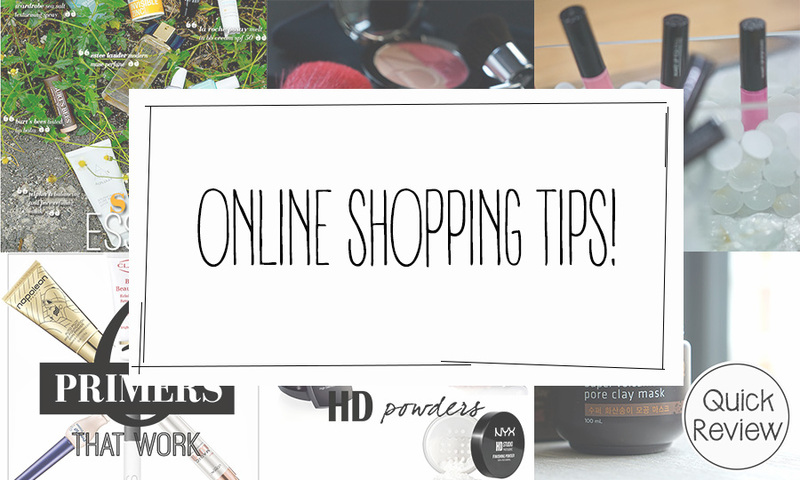 4 Online Beauty Shopping Tips! From being stuck in a country like Australia where everything is ridiculously overpriced, to being stuck in a country like Malaysia where not everything is available, it's been a difficult journey for me as a beauty blogger #firstworldproblems -.-"
The NUMBER ONE RULE when you're doing any kind of shopping, but that applies particularly to online shopping, is to research the product you're buying, and the seller you're buying from. When you buy from your local makeup store, you know where to send the police when something goes wrong. But when you're ordering from someone who could be operating from another country, the laws get a bit fuzzy. Instead of subjecting yourself to hours of research about whether or not an online seller can be extradited to face the courts in your country (I'll bet that happens more often than you'think! ), check out review sites and find out if the online store and seller are trustworthy. ShopVenture is an example of such a review site - they have a large user base that regularly contributes reviews of online stores so you know that the store you're buying from has a history of satisfied customers. Plus, with a database that large, you're bound to discover a few online sites you've never heard of, with great reviews, and that carry the products that you're looking for. Head over to ShopVenture to check them out, and you can read more about them on their Facebook page and Instagram page. They're also running a competition at the moment, so head on over to check out what you can win! This tip is specific to beauty-buying. If you're unsure of what colour foundation to buy, MAC is your best friend. MAC has a massive following, and because of that, almost everyone and their mother knows their own skin tone in a MAC foundation shade. Get colour-matched at a MAC counter, and keep that shade locked in your memory. When it comes the time to buy a foundation, simply pull out your memory rolodex and search online for a match. Most times, you're likely to find a forum where someone who's the same MAC shade as you that uses the foundation you're looking for, and has shared the matching shade number for people just like you. 3. If it's too good to be true, trust me - IT IS. I've had so many friends fall for this, especially since both Malaysia and Australia have easy access to China's products, so there are fakes everywhere. If you're looking at an online shop that's selling, say, the latest Urban Decay Naked Smoky palette for $15, look away. It's not real, unless that's some girl's used palette. No one gets deals that good, more so in bulk. There have been reports of people getting infections from using products that were produced in less-than-sanitary factory conditions, so be careful where you buy your products from! iii. Consolidate shipping so you don't spend too much on postage calculated by weight and size.